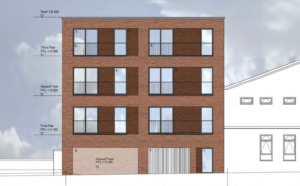 Surface was commissioned to undertake a Flood Risk Assessment for the demolition of a mechanic’s garage and the erection of a block of 14 flats located in Flood Zone 3, classed as ‘high risk of flooding’ on Mansfield Street, York. The Flood Risk Assessment utilised river flood data from the Environment Agency and recommended measures, such as raising finished floor levels and an evacuation plan, to make the property resilient to flooding. The planning application was permitted by the City of York Council, adopting recommendations from the Flood Risk Assessment.